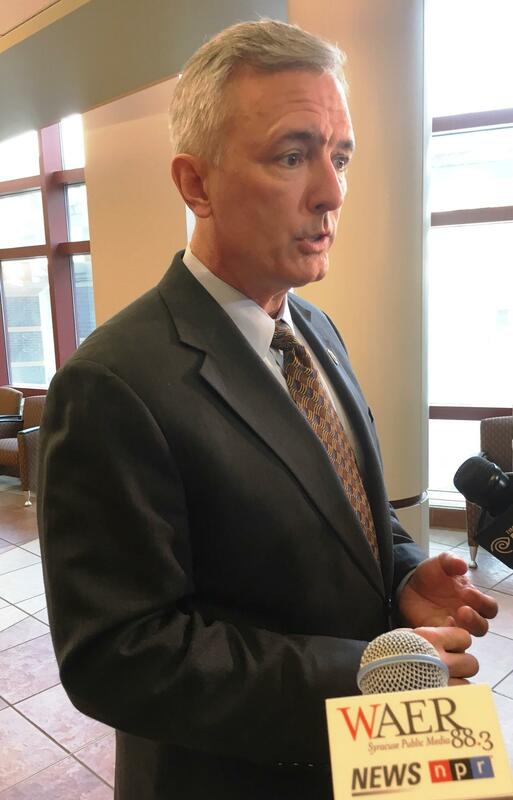 Rep. John Katko speaks to reporters earlier this year. Congressmember John Katko says he's very happy with the tax reform bill approved by Congress. The legislation does not include a tax on graduate tuition waivers, or on education benefits for university employees and their families. Most importantly, Katko says, is relief for taxpayers. "I know for a fact that the middle class and working poor in my district will get a tax break, and I'm excited about that for them. All this stuff out there about tax breaks for the rich and that no one else benefits is just not true." The new tax rates take effect January first. Katko says a family of four making $55,000 will see at least a $1,000 tax cut when they file their 2018 taxes. "Once the IRS provides its guidance, people will take another look at how much is being withheld from their paycheck, projecting what their end-of-year tax liability is going to be. They'll probably be able to do that by February. I think they're going to be able to figure out, my gosh, I'm getting more money in my paycheck now." Katko says he’s heard from all corners of his constituency, from residents and business owners to higher education leaders and the Syracuse mayor-elect. "Every time someone calls me to complain that this bill stinks, after I walk them through it, they say, 'oh my gosh, I didn't know that. Great. Thank you very much.' So, I'm confident that once people understand what's in this bill and cut through the partisan crap that's out there, there's no doubt in my mind that they'll realize this is a good deal." But not everyone sees it that way. Not a single democrat supported the legislation, which underscored the deep polarization that continues to grip Washington. Katko says he and other lawmakers are trying to find common ground as part of the “problem solvers caucus.” It’s grown to 24 democrats and 24 republicans trying to solve tough issues like DACA…the deferred action childhood arrivals program. 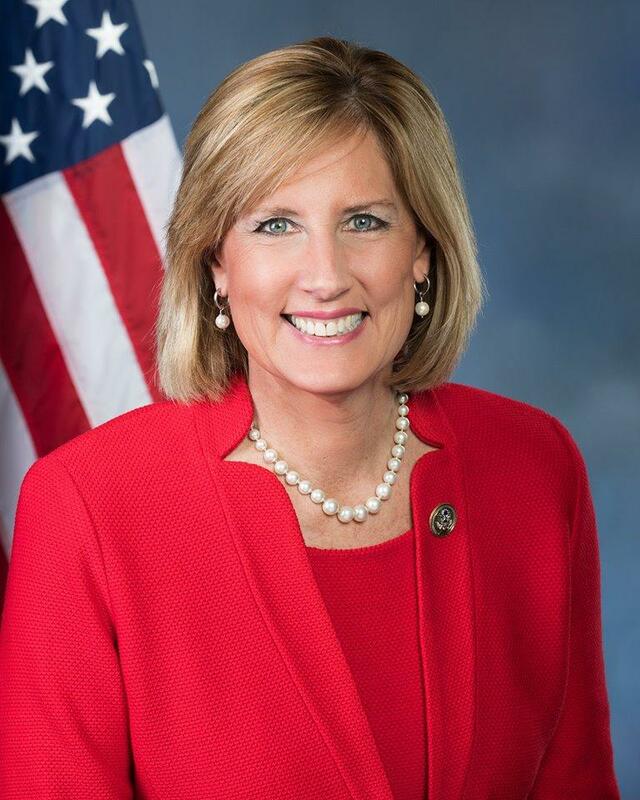 "I hope going forward we can have more bipartisanship. But the fact of the matter is, there's tremendous pressure from both sides to do things on party lines. Quite frankly, I don't subscribe to that. There's a growing number of us that want to prove that. One of the ways we're going to do that early next year is to put forth an infrastructure package that has bipartisan support." Katko says the caucus is gaining momentum and hopes it can break through the gridlock that’s paralyzed Congress all year. 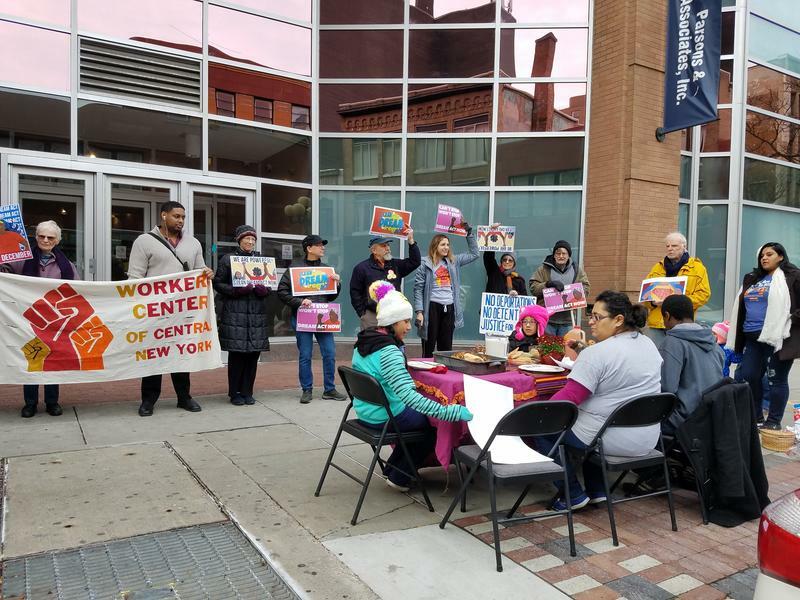 Immigrants and their supporters are calling on Congressman John Katko to support legislation for recipients of the Deferred Action for Childhood Arrivals, known as DACA.They say they want Katko to support a “clean” Dream Act. Rebecca Fuentes is with United We Dream. "The federal govt is proposing legislation but it’s tied to more enforcement, a wall. We don’t want that, we want it clean."